DSST Public Schools, the winner of the 2018 Broad Prize for Public Charter Schools, has a great deal to be proud of from the Class of 2018. To highlight the graduating seniors, they created a unique way to share 11 of their senior stories. The Denver network of diverse-by-design schools share "senior spotlights," which highlight each seniors unique path to graduation including the graduates' teachers who made a difference in the students' high school careers, and why they're excited to move on to the next phase of life: college. Click on the spotlights below to learn more about these charter grads! 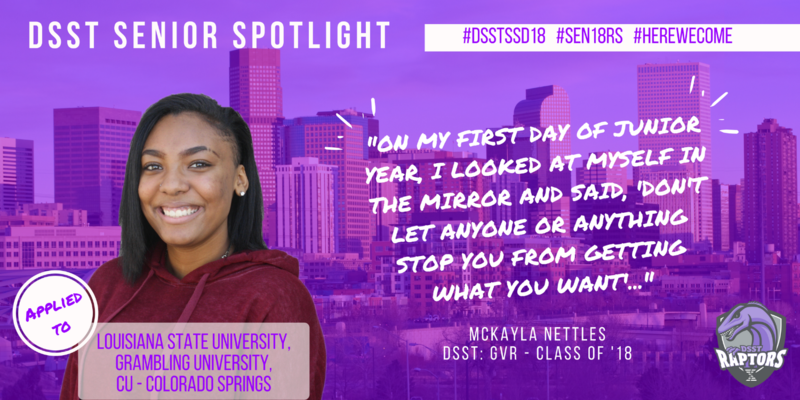 First up is McKayla Nettles, a senior at DSST: GVR High School. Next up in our #SeniorSpotlight series is Hannah Curran, a senior at DSST: Stapleton High School. Next up is JoAnna Garcia, a member of the first graduating class at DSST: Cole High School. Next up is Sandra Ramirez-Leon, a senior at DSST: Stapleton. Next up is Ethan Hewett, a senior at DSST: Green Valley Ranch. My name is Eve Guess, and I am a senior at DSST: Stapleton High School. Senior Iesha Essien talks about DSST staff who have helped and influenced her. Zia Ahmadi is a senior at DSST: Green Valley Ranch and has applied to USC, the University of Denver and Colorado School of Mines. 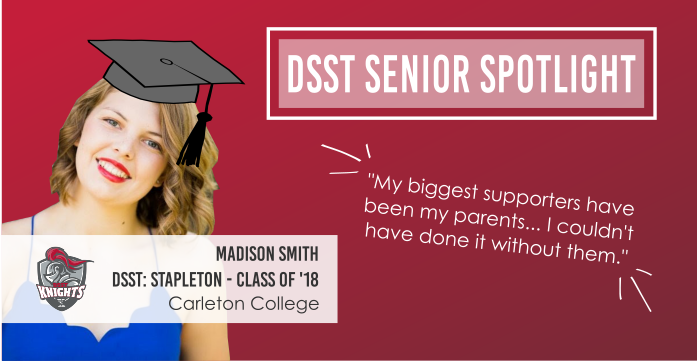 Madison Smith is a Senior at DSST: Stapleton High School. 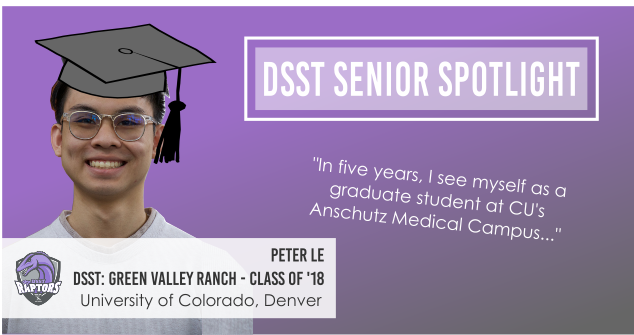 Peter Le is a Senior at DSST: Green Valley Ranch High School. Charles Kendee is a Senior at DSST: Cole High School. Congrats again to DSST's Class of 2018! We wish you all the best in your future endeavors. This blog is a part of the National Alliance for Public Charter Schools' month long celebration of #CharterGrads.